Copie di studio is a project designed by Stefano Arienti for BASE: groups of drawings differing in size, paper type and subject, are exhibited as an installation/frieze, as a picture gallery or in the form of books, transforming the space by bringing out a special intimate dimension. 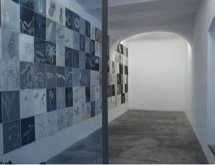 The uniqueness of the project by Stefano Arienti lies in the nature and motivation that led to the creation of these drawings. These are images produced by the artist to be used in a totally private context by the artist, who wanted to document the designs and images which were then scattered throughout the world, becoming part of private and public collections. 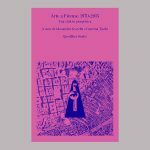 These works represent an interpretation of the drawings from which they come, inasmuch as they are obtained through the use of the photocopier by enlarging or framing a particular figure from the original drawings.